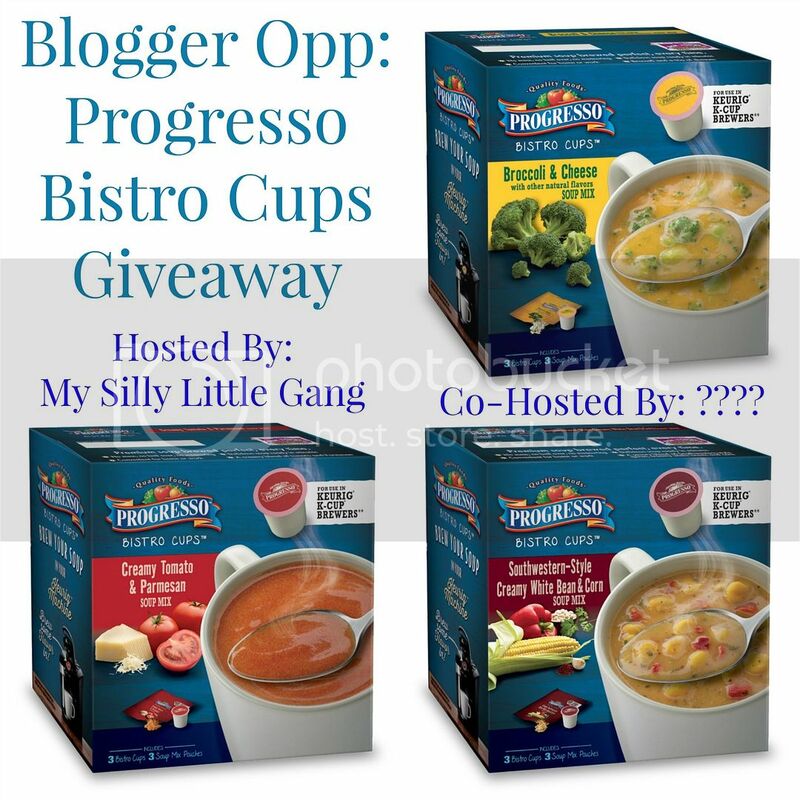 Blogger Opp: Progresso Bistro Cups Giveaway! One lucky winner will receive their 1 Box of each of the following flavors: Broccoli & Cheese, Creamy Tomato & Parmesan and Southwestern-Style Creamy White Bean & Corn. When I heard about these new Progresso Bistro Cups I was super intrigued. I mean how could it be possible to make soup using a single serve brewer! I am thrilled with all three varieties of these bistro cups from Progresso. Each bistro cup and soup mix pouch is cream-based, with 170-250 calories, 6-10g fat, 600-850 mg sodium, 22-38g carbs, <1-12g fiber, 3-9g sugars, and 3-11g protein. Sign Ups Close 10/5 at Noon EST. Open To US Residents who are 18+. The Blogger With The Most Referrals will Receive a FREE Co-Host Spot! If you signed up to co-host and you are the person with the most referrals, you will be refunded! Promote Away and Make Sure They Say You Sent Them! You must have a minimum of 3 referrals to win free spot.